Your options for grave markers. 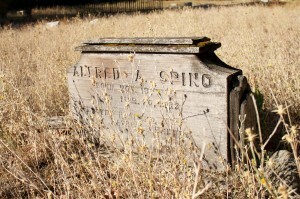 Throughout time we have used grave markers. We use to pile fieldstones onto the loose earth of the grave to deter scavengers. Those simple fieldstones evolved into granite slabs and upright grave markers inscribed with text and symbols identifying the deceased their beliefs and relationships. 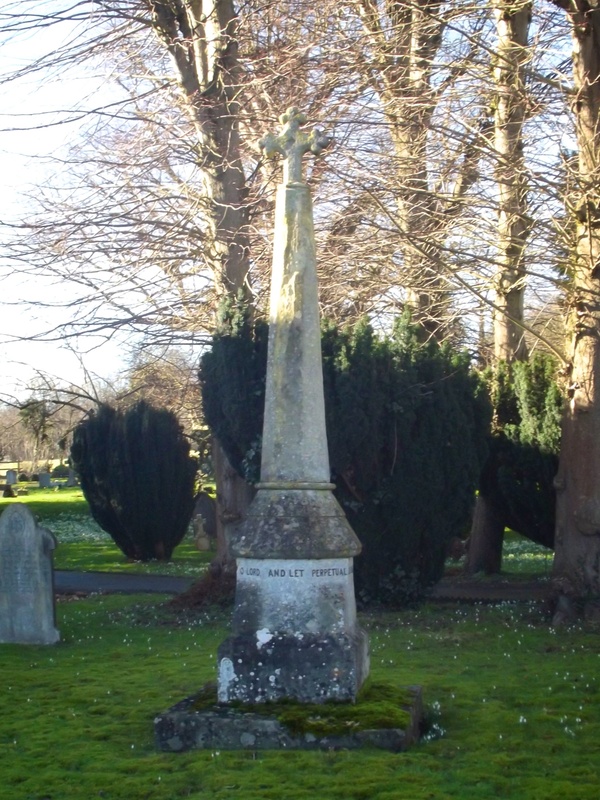 Today we have an almost infinite number of options when it comes to choosing a grave marker. We will outline some of the basics. The flat grave marker is a simple tasteful grave marker that sits more or less level to the ground. 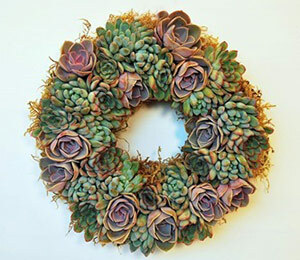 They come in a number of sizes and colors, and may be available directly from a local cemetery. 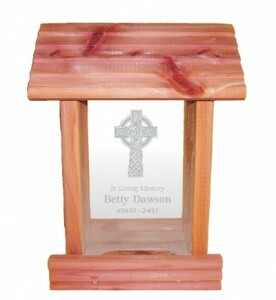 They vary greatly in price form $150 for a small temporary marker to $1500 for some of the larger double grave markers depending on the size and options, so shop around a little. 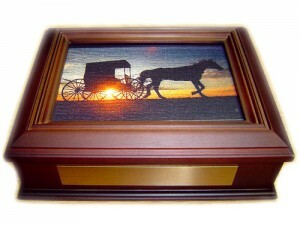 We offer a great line of simple flat grave markers available with a number of custom engravings. 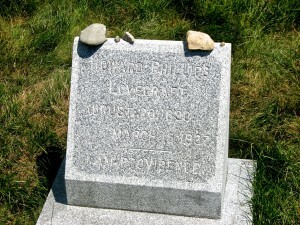 The beveled grave maker is similar to a flat marker, except for the fact that the face is beveled at an angle instead of flat. These are a little more visible than a flat marker – being beveled, and that extra material is what you will pay for. 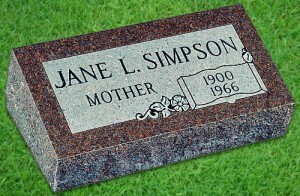 These grave markers start at around $350 for a small stone and go up to $1300 for the larger grave marker. The upright grave marker is the traditiona tomb stone we all tend to think of, a vertical slab of some kind of stone with a name and dates and possibly a short eulogy. These start at $600 for a small stone, to over $3000 for a larger grave marker, and like the slant you will be looking at a little extra on the installation. 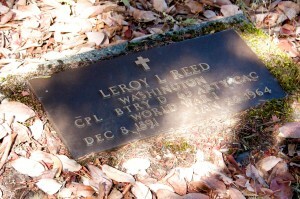 The picture to the right is a US Service Member grave marker and is available to all service members via the VA office at FREE of CHARGE for an unmarked grave of a service member. 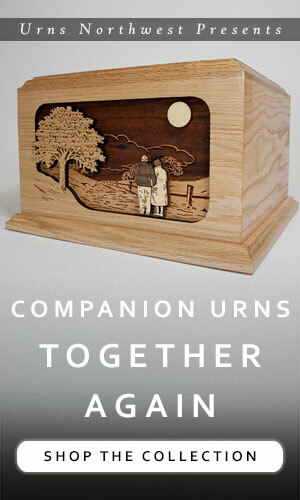 If you have had the remains cremated, Urns Northwest offers an urn in keeping with a traditional VA grave marker. The obelisk was typified by the ancient egyptians and monuments around the world have followed its example, think Washington Monument. 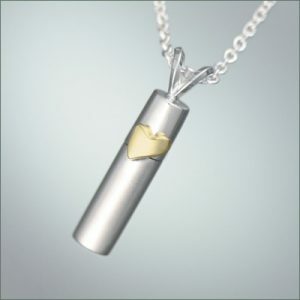 The price point for an obelisk starts at around $3000 for a small marker and go well into the $20,000 range. They vary in shapes and profiles. 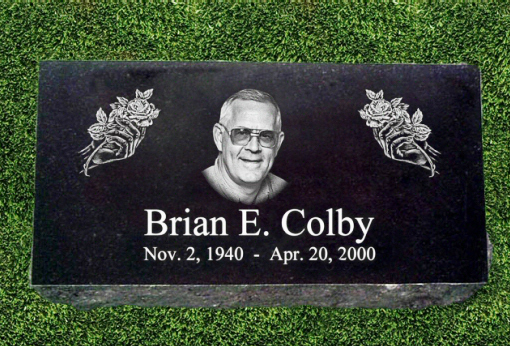 When you’re in the market for a custom grave marker it pays to shop around. There are a number of online sellers that you can shop to get a feel for pricing and design fees, though don’t hesitate to shop locally as you may save a little cash on shipping. Walking around a local cemetery today, I was struck by the variety in grave markers. There were large sarcophagus, obelisk and statues – and there were also small wooden one, simple flat grave markers and even a few home made concrete slabs. You can check with the cemetery for specifications, but there isn’t really any reason why you can make your own headstone. Whether out of wood or concrete, it might be a great project for everybody. 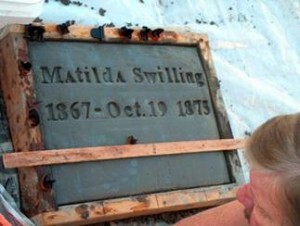 Here is a short DIY article for making a concrete grave marker. 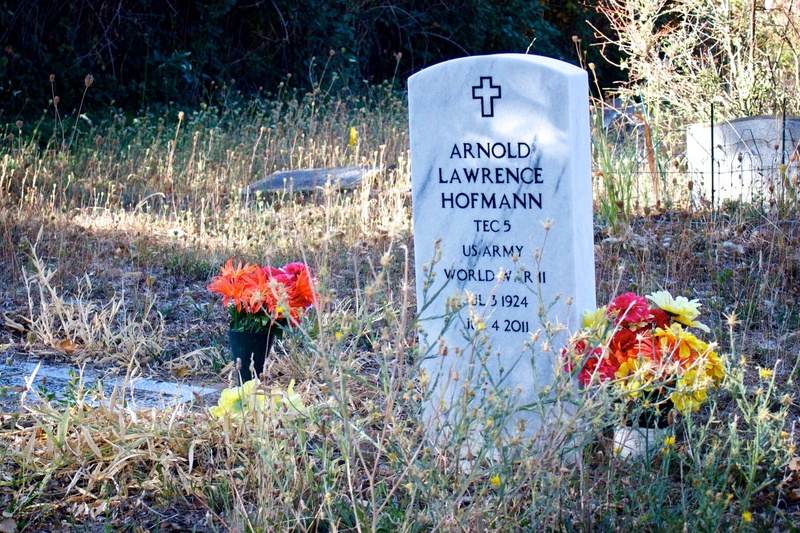 Granite is by far the most common material when it comes to grave markers, its one of the hardest stones known to man and the etching will last for decades or longer, depending on conditions.
. 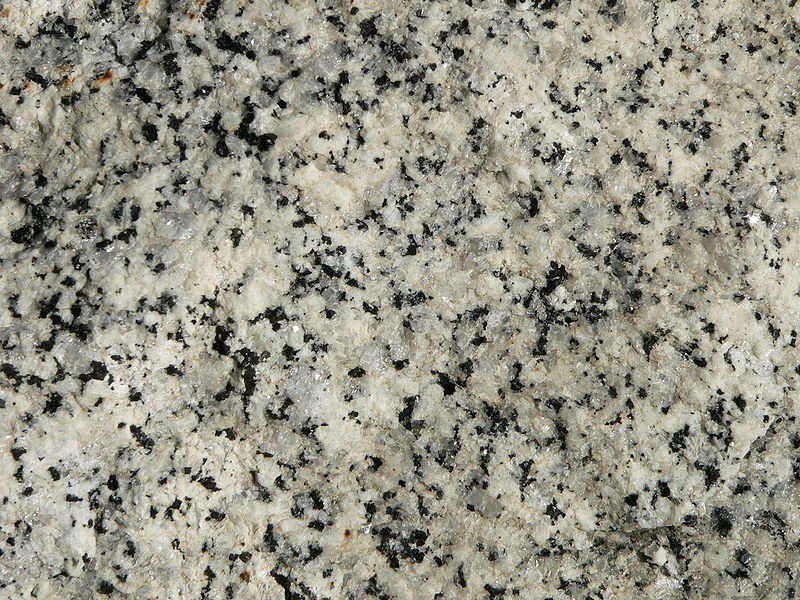 Though with the advances in the equipment used to cut and engrave, granite has surpassed marble. 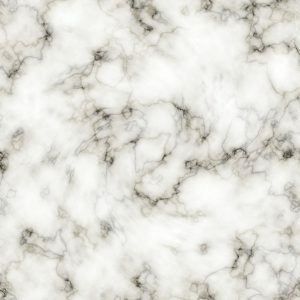 Marble, though beautiful tends to calcify and break down in the weather. Though in hot dry climates this may be averted. 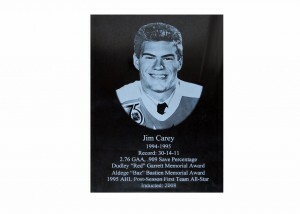 Bronze, and stainless steel are often applied to a granite base as a plaque. They are both very durable and the stainless steel has can be polished to a mirror like finish. 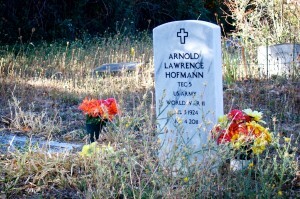 It is also not uncommon to see bronze or stainless vases attached to a grave marker. Wood use to be popular during the Victorian era, though has become rare to see these days as they tend to deteriorate rather quickly compared to stone or bronze grave markers. The idea of laying a body to rest under the “old oak tree” is becoming a more popular trend. 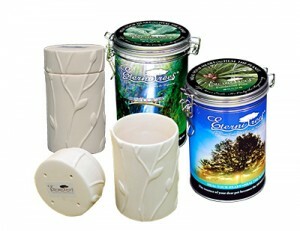 Whether you plant a sapling from a local nursery, choose a plot under a mature tree or plant this tree urn with the cremated remains, it’s comforting knowing that life will go on. When preparing a gravesite on private property, be sure to first check with the local city and county for regulations regarding private property burials, as per the depth of the grave, and whether it needs to be marked into property records. Burying cremated remains would be far less regulated, though you still might want to check with the local officials. When placing a marker, if you are not going to hire professionals, there are several videos on YouTube that can advise you on techniques for placing the footing and headstone or grave marker. 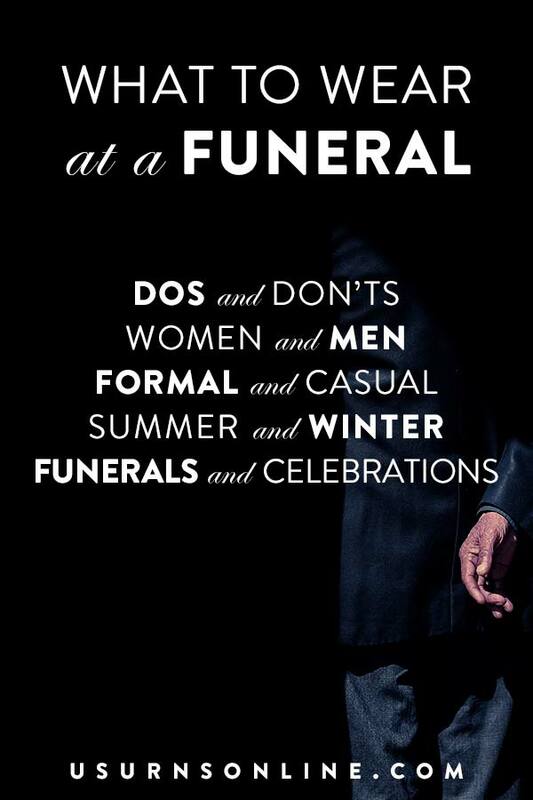 Cemeteries will offer you a full service funeral. From the casket or urn to the plot, niche and headstone. Though you will want to be diligent about asking for the full cost. Some Cemeteries will charge installation fees, body transfer fees, opening and closing fees, and so on. Some of these costs can be offset by doing some of the work yourself. If you are having the body cremated and spreading the ashes, you might want to have a memorial marker placed in your yard or mantle to memorialize the occasion. 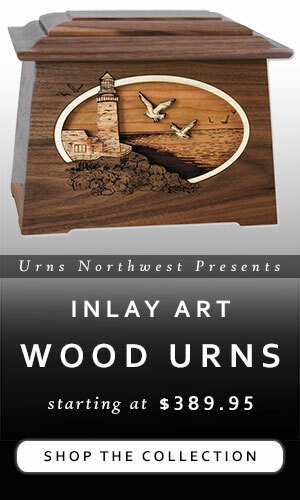 It can be a larger monument, bench or water feature or a simple plaque or garden stone. Thank you for all these great options when choosing a gravestone! 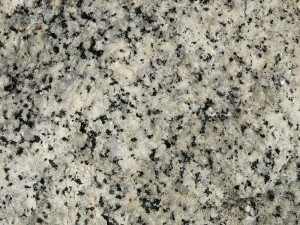 One thing that really stood out to me is that granite is common, but it will last for decades. It would be nice to know the lettering will stay around for ages.